The HSM Powerline HDS 230 series are specially designed Hard Drive Shredders that destroy all types of Digital and Magnetic Media into tiny particles, making recovery practically impossible. The HDS 230 is extremely safe and efficient to use, and is data protection compliant, depending on the level of security required. 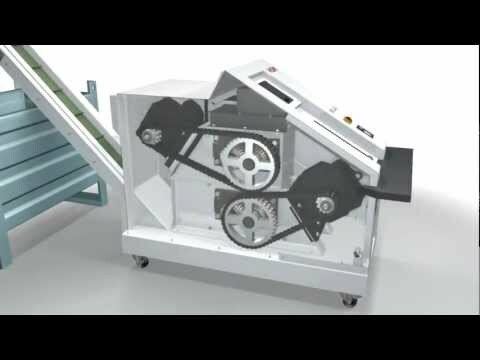 There are 2 versions available: The HDS 230 Single Hard Drive Shredder has a single cutting process or for higher security requirements the HDS 230 Dual Hard Drive Shredder has a special Dual Cutting System incorporated which produces smaller particles. Both High–Performance Data Shredders destroy Hard Drives and Magnetic Media including tapes (DLT, Ultrium, LTOs), optical media (CDs/DVDs, Blu-ray), credit and identity cards, USB Sticks, Solid State, Phones and PDAs with the Shredded Material being conveniently discharged via a Conveyor Belt System into a suitable container.